The Remote Float Bowl works with any of the single or dually Dial-A-Jet systems. Even if you’re not into running exotic fuels or modding an EFI, you can benefit from the automatic fuel delivery and atomized fuel delivery of the Dial-A-Jet. 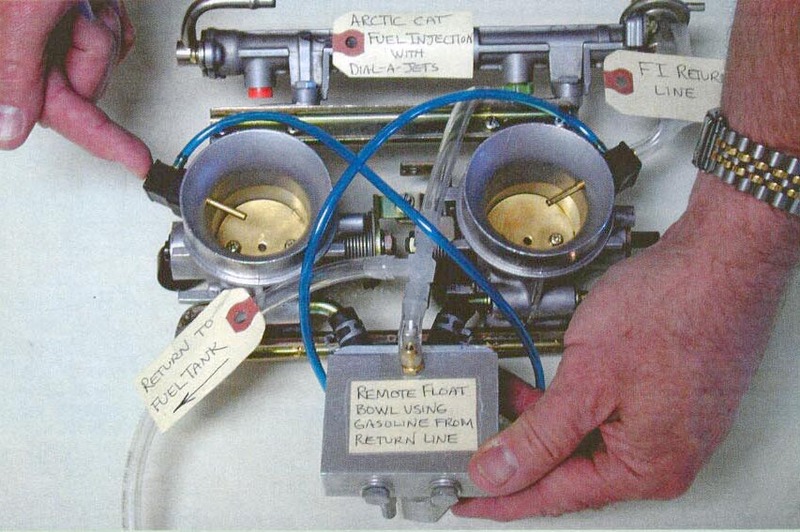 Even though the Dial-A-Jet fuel delivery system has been around for quite a few years, people are just starting to realize all of the benefit the system provides. 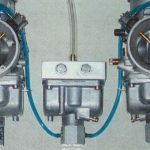 In this day and age of increased fuel prices, unburned fuel, and all this talk about atomization, emulsification, and self-compensating, Dial-A-Jet has had all of these features and benefits all along. For those unfamiliar, the Dial-A-Jet is an auxiliary air-corrected power jet that delivers fuel based on engine demand. 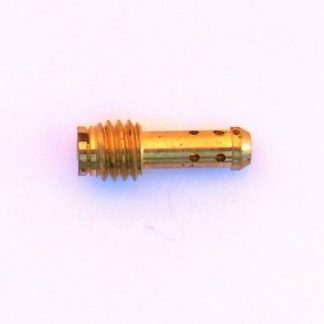 The Dial-A-Jet emulsifies the fuel, which means it breaks up the big, heavy fuel droplets into smaller, air-rich atomized fuel that weighs only 10% of raw fuel. This allows the fuel delivery through the Dial-A-Jet to be more responsive to slight changes in engine load. Three things trigger the fuel delivery; engine pressure drop (vacuum or fuel signal), acoustic signal, and good old air-flow and velocity. 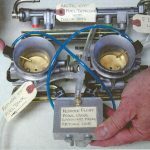 Anytime the engine runs slightly lean, the Dial-A-Jet supplies fuel on a more linear fashion to demand than what a carb can, due to the light frothy mixture of fuel and air. As most all of us know, atomized fuel burns more completely, resulting in improved fuel economy, but also increased horsepower. 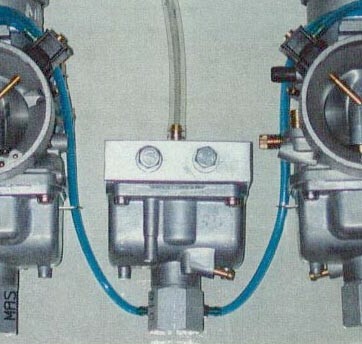 Engines fitted with a Dial-A-Jet system routinely make more power and run like its much colder outside. really the main benefit or attraction. It’s the fuel preparation and automatic on-demand delivery. 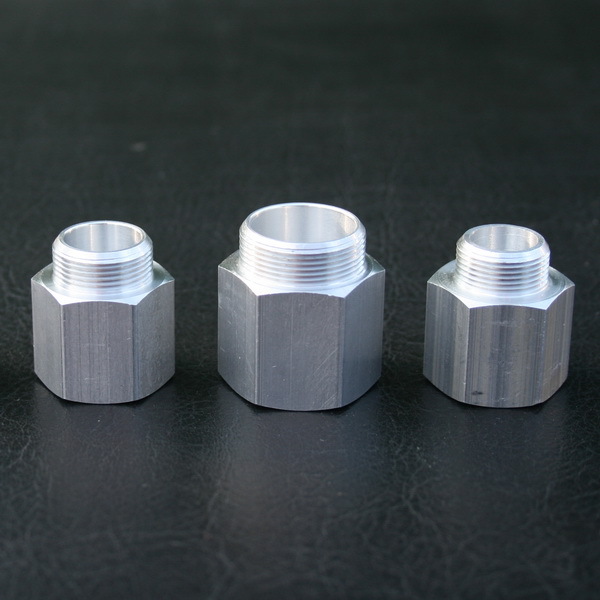 Anytime you can replace heavy droplets of fuel with a more finely atomized mixture, the results are nothing but desirable. One project the Dial-A-Jet faithful have been pursuing the past few years is a remote float bowl set-up. This system has evolved into two different additional applications for the Dial-A-Jet. First is the “Alcohol Induction”. 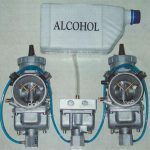 Instead of picking up fuel from the carburetor float bowls, a “remote float bowl” can be mounted on your sled which can receive fuel from a small fuel tank full of Ethanol, Methanol, or whatever type of go-fast fuel you wish to burn. 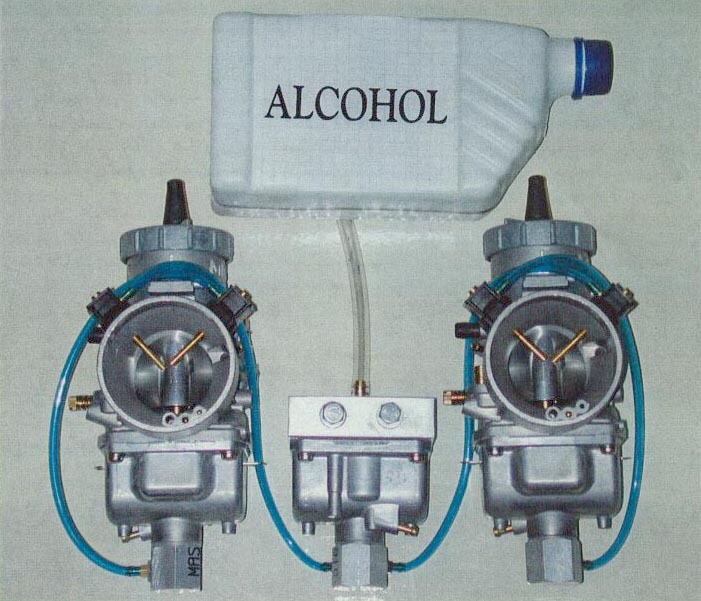 Octane booster, alcohol blends, propylene oxide, whatever turns you on. The most promising is alcohol. 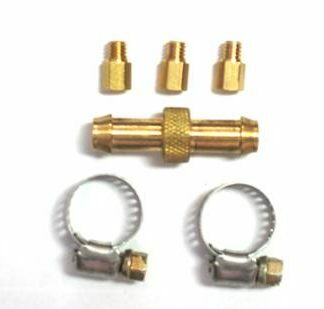 This is an easy and inexpensive way to raise your octane while lowering engine combustion temperatures by 150-200 degrees. Dyno testing of this system are said to have shown 5-6% gains in horsepower. A new and exciting application of the remote float bowl set-up is on EFI sleds. EFI is wonderful, but what happens when you want to make airflow enhancements to make more power? power increasing go-fast mods like reeds, pipes, airboxes, porting, any of it? You can’t just swap jets. 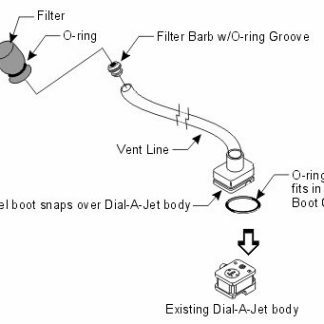 If the EFI supplies enough fuel for a stock engine, why not let the Dial-A-Jet supply the rest? 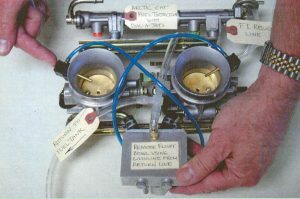 The reason used to be that you needed a float bowl to supply the fuel to the Dial-A-Jet; on EFI systems, there are no float bowls. 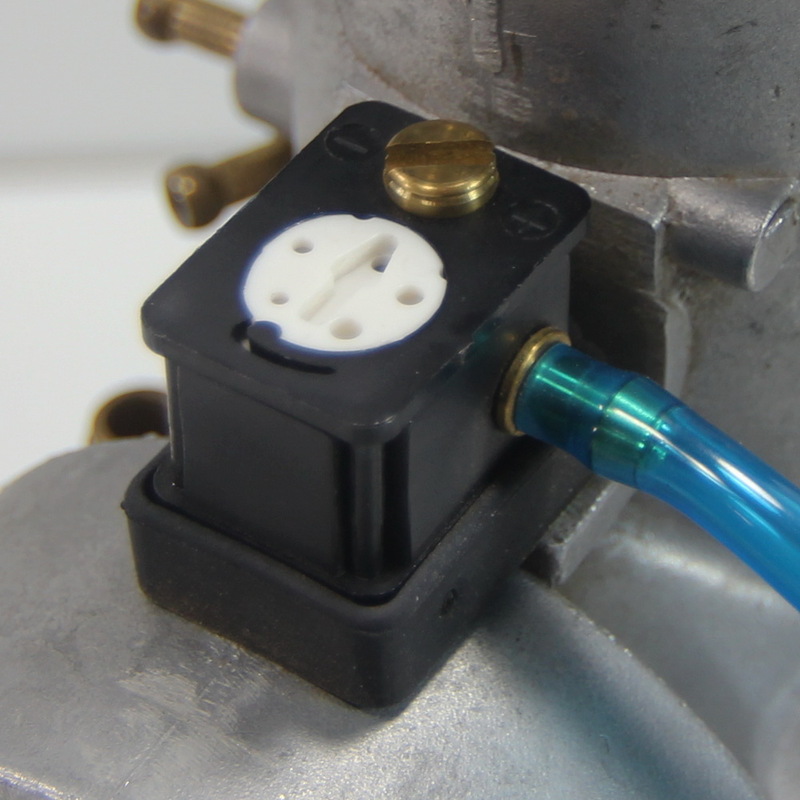 Now you can add one; the remote float bowl gets its fuel from the EFI return line back to the gas tank. As the engine is placed under load and needs more fuel than the stock EFI map can deliver, the Dial-A-Jet kicks in and fills the gap with atomized fuel. The Remote Float Bowl works with any of the single or dually Dial-A-Jet systems. Even if you’re not into running exotic fuels or modding an EFI, you can benefit from the automatic fuel delivery and atomized fuel delivery of the Dial-A-Jet. Maybe the adjustable feature is what you need to run clean from -20 to well above zero without swapping jets. 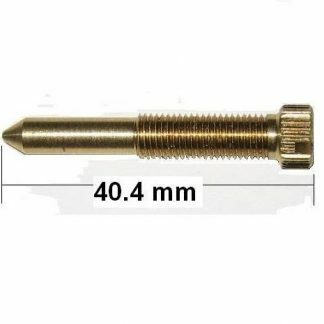 Whatever the attraction, contact Thunder Products at 320-597-2700.